A puppy is not just for Christmas … but can we at least give them a Christmas? 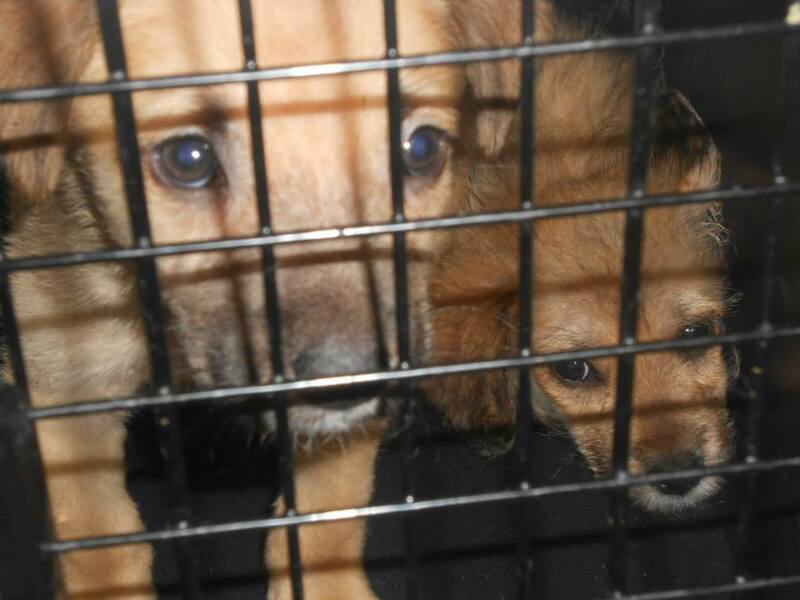 We have yet again had a big batch of puppies that we have taken out of the shelter to try to save them. 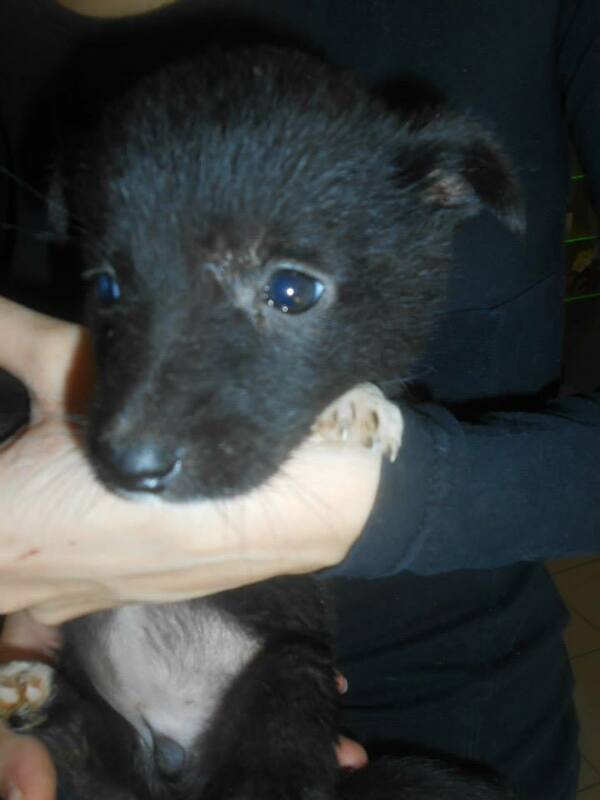 As you know if you follow our posts the chances of a puppy surviving in the shelter unaided is 90%. This is the tragic reality of the over-crowded Bucov shelter. 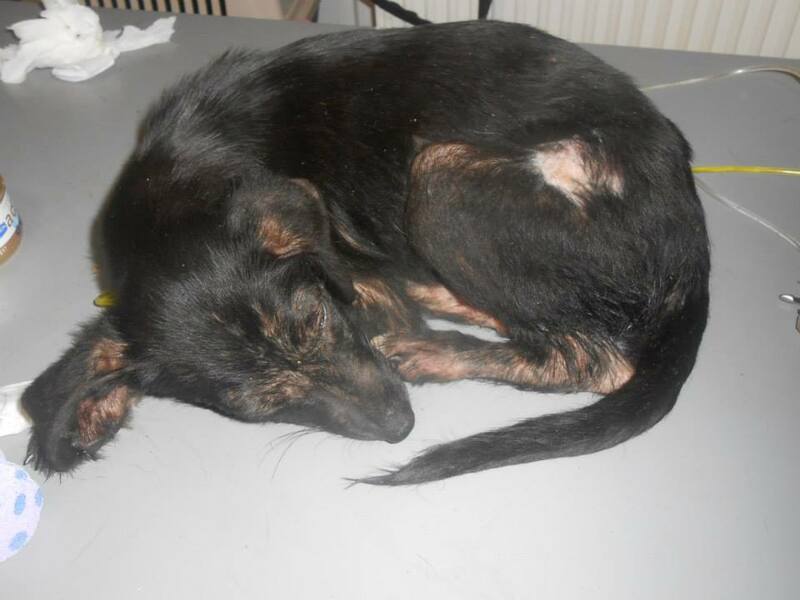 On the streets things are not much better – with the winter weather conditions in Romania puppies often freeze to death. Those that do not have a high chance of being beaten to death by the inhumane Romanians in the area. For every decent person who feeds the strays and shows them a bit of love and respect there is a monster, with no heart or soul, who thinks it is fine to beat and maim dogs to death. The psychological impact this must be having on Romanian children is huge – how can a child witness such brutality and not be marked for life? Through its treatment of its strays Romania is building a problem for the future by de-sensitizing children to violence and torture. It is in this climate that we do all we can for the dogs we find. 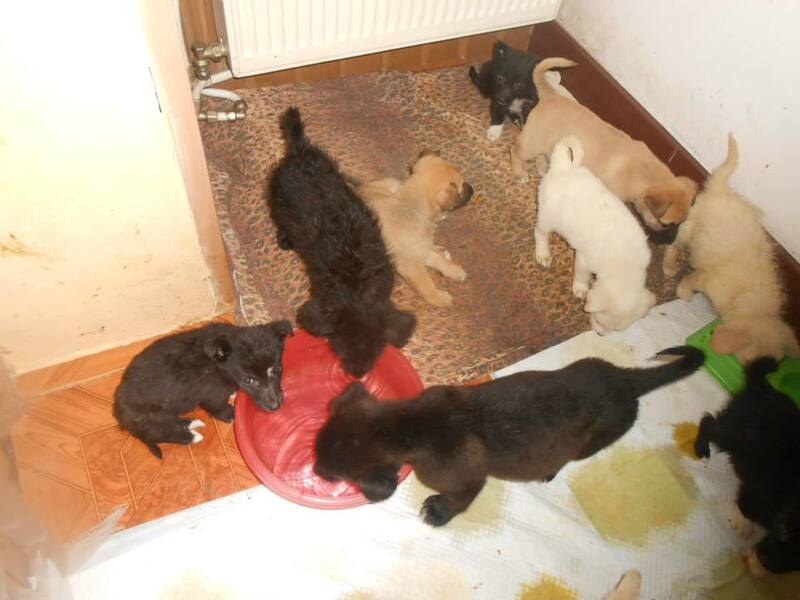 It is in this climate that we rescued 26 puppies that were in very poor shape and the fantastic Irena, took them in to her foster home, despite already being totally at capacity. Like any young animal, be it a human baby or a puppy, there is a fagility mixed with hope, that touches the hearts of people – at least those with hearts and souls. We were filled with hope when we rescued these puppies, even if for the case of some of them it was slim – but hope is hope. It is therefore very distressing when these bundles of life and hope die. This is unfortunately what has happened to 11 of the puppies. Of the 26 only 15 have survived so far. We are doing all we can to save the rest but we are at our maximum capacity with debts at the vet and are about to run out of funds to pay for anymore treatment. Whilst at least those that died spent a few days in the warmth, with food and surrounded by love, it was not enough. It will not be enough for some of the remaining 15 that are still alive. We need funds. They need vet care and medicine. We need your help. Please help us keep them alive and help us give them their first Christmas. Please help us show Romanian children that there is another way. 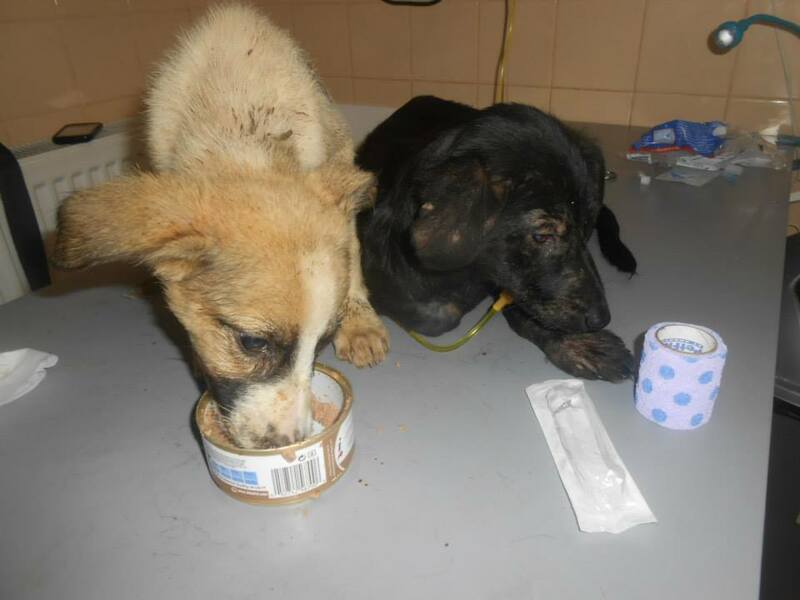 Please help us fund some hope for the future -for both dogs and children in this cold country. 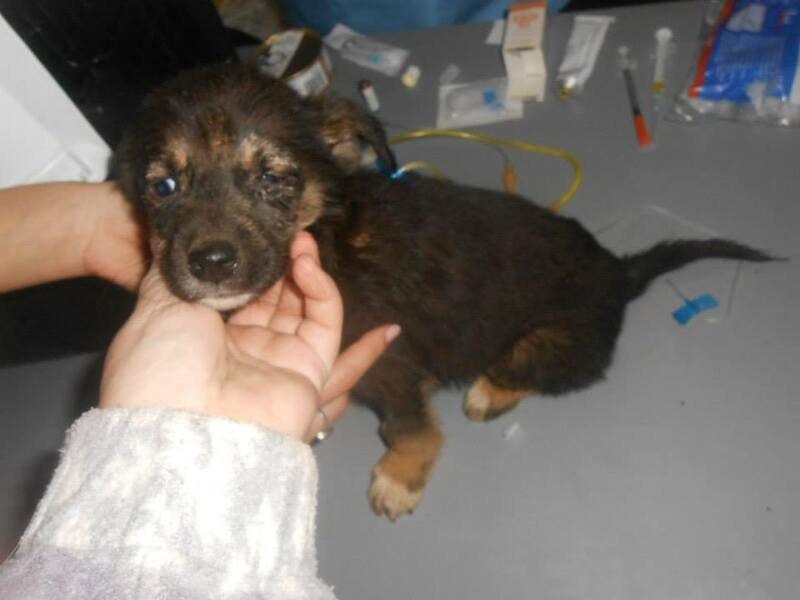 Sick puppy – will you fund her care?